Over the past three weeks I put these shoes through the ringer. I’m able to skate about 8 hours a week, so this is roughly 24 hours of skating in the Figueroas. First Impression: This shoe felt amazing the first time I put them on my feet. It was snug fitting with a bit of a narrow shape, really holding my foot in. 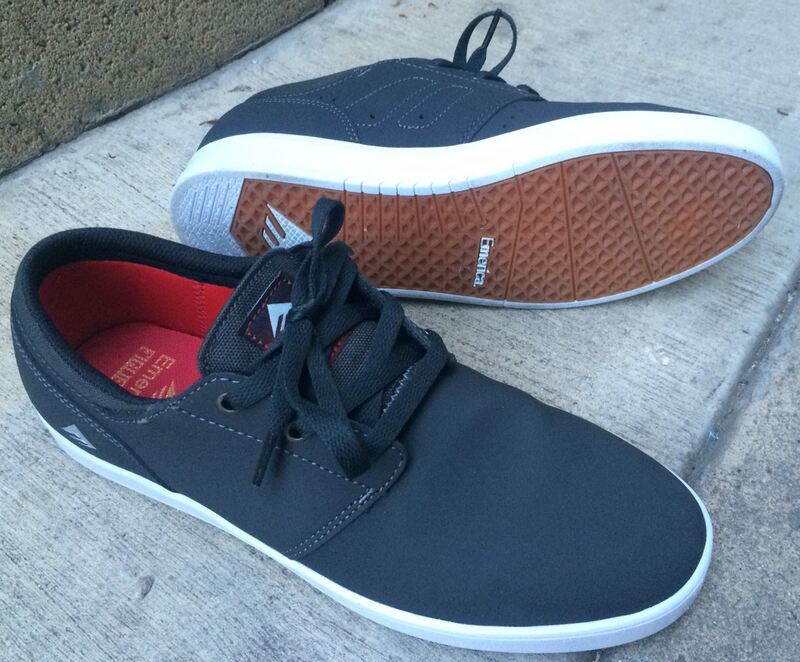 Straight from the shelf to the streets, the Figueroa is skate-able right out of the box, no break-in needed. Board feel: For a cupsole the Figueroa has great board feel. I’ve struggled with “performance cupsoles” from other brands where there’s basically an EVA wedge under your heel, but the Figueroa’s mid-sole stretches the entire length of the shoe. 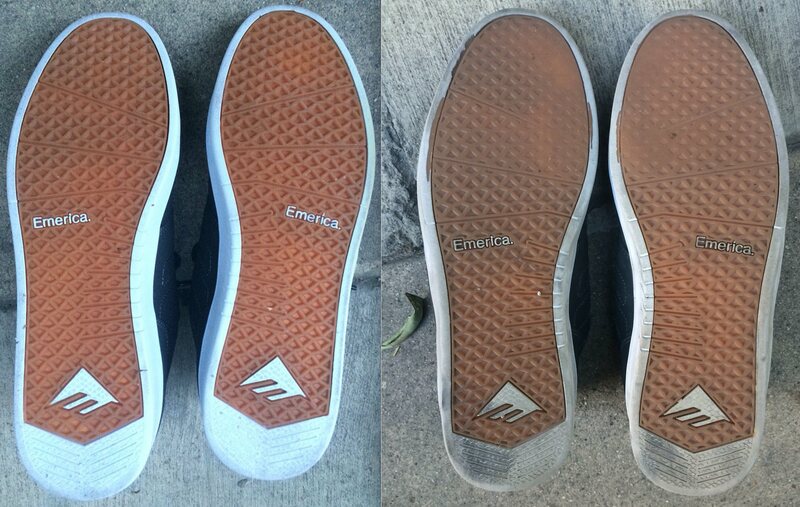 This full-length mid-sole does not make the shoe feel bulky at all, Emerica nailed it with this one! Just enough padding under foot to get that happy medium between board feel and impact protection. Durability: This colorway is made from synthetic-nubuck, animal friendly but also able to take a beating. The first session was a bit rough due to the fact that the outer coating on the synthetic-nubuck is extremely grippy. After about an hour I’d worn off the outer layer in the high wear areas and the shoe became much easier to skate. The synthetic-nubuck is a durable fabric very similar to the feel of suede, but stays stiffer longer, helping the shoe retain it’s original shape. The ollie and flick areas are definitely showing wear, but I still haven’t blown through the upper yet. Grip: The thin EVA mid-sole in the fore-foot combined with flex-grooves on the sole help keep this shoe flexible allowing it to conform to the shape of your board and grip more surface area. 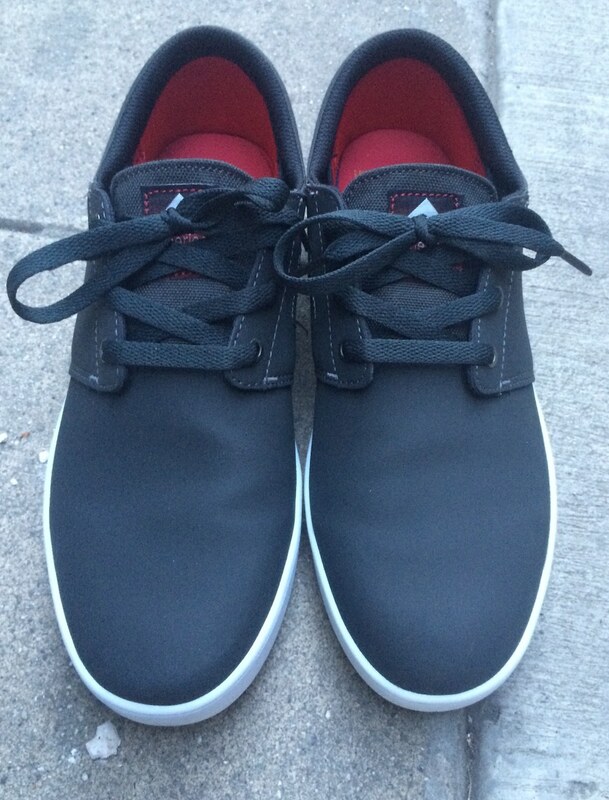 I would compare the grip on this shoe to a vulcanized model. Obviously not as grippy as a vulc, but definitely a close second. 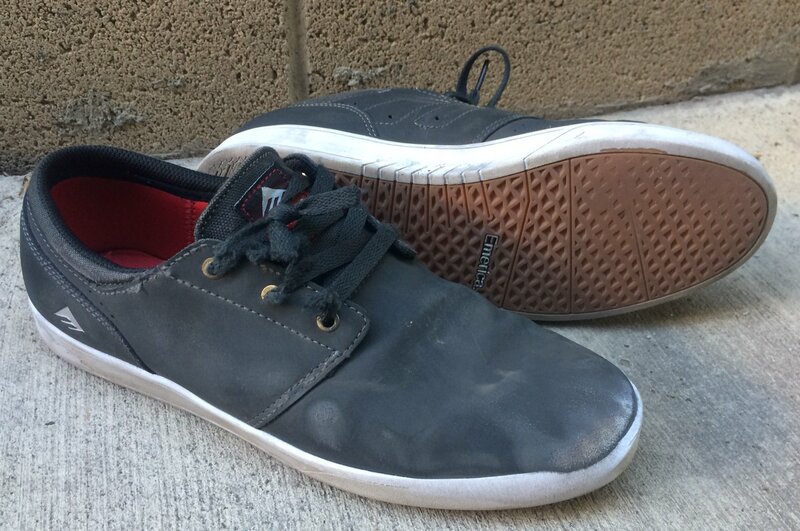 Verdict: Hands down, the Emerica Figueroa is my favorite shoe from 2015, and easily in my top 3 favorite shoes of all time. A cupsole that grips your board, great board feel while still being able to jump down stairs and gaps, and solid toe shape with quality flick. If you’re looking to make the transition from vulcanized shoes to cupsoles, want a long-lasting cup with board feel, or just looking for a solid shoe, the Emerica Figueroa is for you! 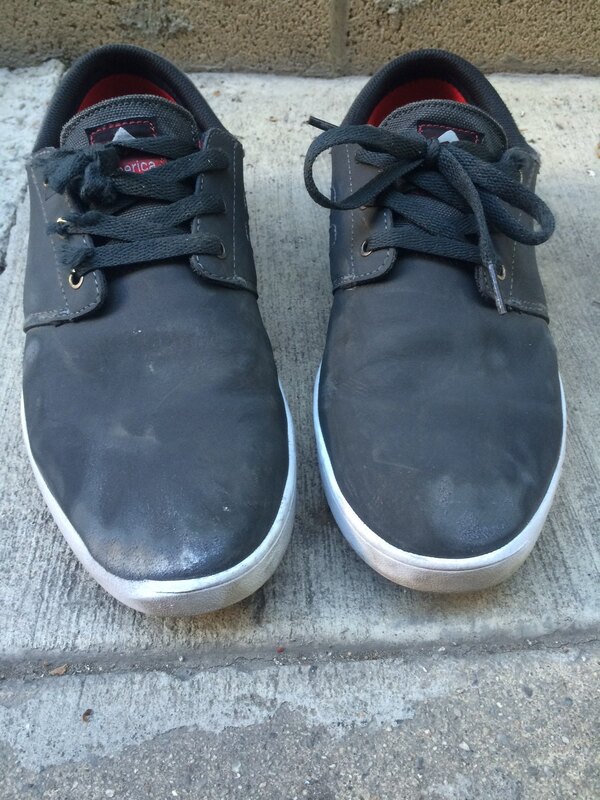 One of our readers Bryan “Swash” Hansen for sending in his skate review of the Emerica Figueroa. Bryan sent us the review after noticing we were sleeping on the shoe reviews. We really appreciate it. Thanks for lighting the fire under us to get the content moving. It looks like we posted this a little late in the season, but that could be your gain. At 35 dollars, these shoes are a steal!! !